We meet to Meditate, to Journey, to share our personal experiences and to help each other awaken. Shamanic Journeying is a spiritual healing tool with ancient roots. Traditional shamans used this technique to act as intermediaries between the human and spirit realms. All people have access to spirit and many are discovering the shamanic journey as a tool for self growth, freedom, and healing. People utilize the shamanic journey to receive answers to questions, gain clarity around relationships, or communicate with lost loved ones. In the journey you may meet a spiritual teacher, receive a power animal, or interact with yourself in past lives. You may contact a part of yourself that has been lost to a past trauma and bring it into current time through the act of Soul Retrieval. Shamanic practitioners have journeyed for eons of time. Some sources trace shamanism to as far back as 25,000 to 40,000 years. Traditional shamans traveled to the spirit world to assist in healing spiritual as well as physical ills. They used many methods to achieve the state of consciousness that allowed them to contact these realms, such as drumming and chanting. Journeying is one of the spiritual healing tools used by traditional shamanic indigenous cultures throughout the world. It is still practiced today. Our stressful, fast paced lives require us to reconnect to the non-physical part of our being referred to as the ‘soul’. It is difficult to experience this part of ourselves within our daily lives because it exists in a larger place of stillness, wholeness, and oneness; closer in vibration to the source of who we are. The answers we are seeking are accessible in this place of oneness. Journeying is a way to contact this place. People journey to receive information regarding life decisions, access their guides, find spiritual teachers, heal from long standing issues, or gain understanding about illness, life events, and life purpose. About Drum therapy who is used in Shamanic Journey : is an ancient approach that uses rhythm to promote healing and self-expression. From the shamans of Mongolia to the Minianka healers of West Africa therapeutic rhythm techniques have been used for thousands of years to create and maintain physical, mental, and spiritual health. 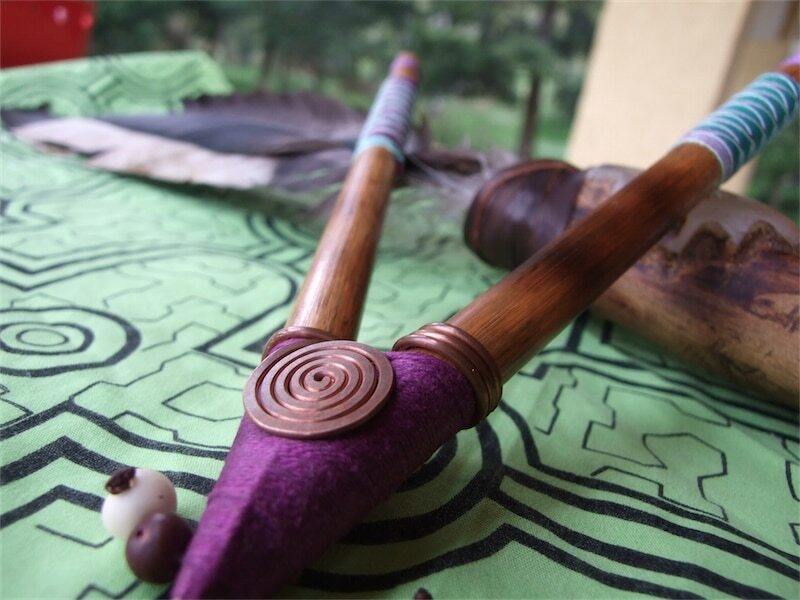 Shamanic Drums induces deep relaxation, lowers blood pressure, and reduces stress. Stress, according to current medical research, contributes to nearly all disease and is a primary cause of such life-threatening illnesses as heart attacks, strokes, and immune system breakdowns. A recent study found that a program of group drumming helped reduce stress and employee turnover in the long-term care industry and might help other high-stress occupations as well. The reason rhythm is such a powerful tool is that it permeates the entire brain. Vision for example is in one part of the brain, speech another, but drums accesses the whole brain. The sound of drum generates dynamic neuronal connections in all parts of the brain even where there is significant damage or impairment such as in Attention Deficit Disorder (ADD). According to Michael Thaut, director of Colorado State University’s Center for Biomedical Research in Music, “Rhythmic cues can help retrain the brain after a stroke or other neurological impairment, as with Parkinson’s patients…” The more connections that can be made within the brain, the more integrated our experiences become.